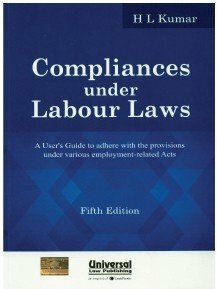 As a regular reader of Labour Law Reporter you must have appreciated the gist of the judgments being given every month at the cover page of the Labour Law Reporter without name of the judgment due to space constraint. 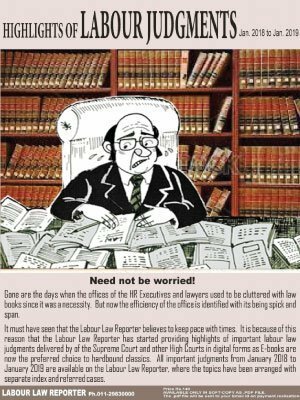 However, on persistent demand of the subscribers the editorial board of the Labour Law Reporter has consolidated the highlights of over 400 judgments from January 2018 to January 2019 subject-wise. AVAILABLE ONLY IN SOFT-COPY AS .PDF FILE. The .pdf file will be sent to your Email id on payment realisation.